Barcode Label Maker software generates barcodes labels, inventory tags and stickers for different business products. Barcode maker software is capable to design barcode stickers in rectangle, ellipse and rounded rectangle shapes according to your need. 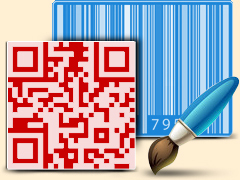 Barcode maker program creates bulk number of barcodes images using barcode batch process. Barcode label maker software allows you to save designed barcode in JPEG, TIFF, Bitmap, PNG, WMF, EMF, EXIF and GIF file formats. 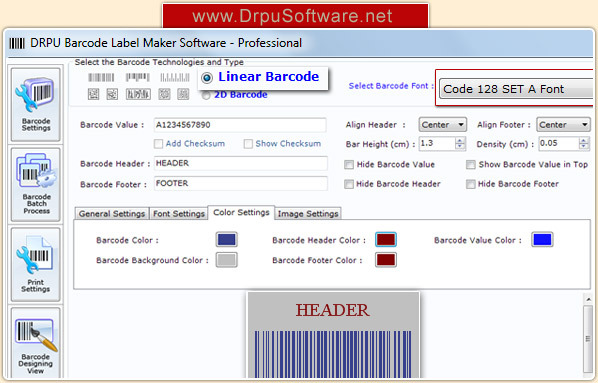 Barcode label maker software easily creates linear and 2D barcode labels. Barcode software provides barcode Batch Process which have option to create Random, Constant value and sequential series to create bulk multiple numbers of barcode simultaneously. Sequential Series – To Generate Barcode List in an ordered format. Constant Value Series – To Generate Barcode List with constant value. Random Series – To Generate Barcode List with random values. Barcode label maker program allows you to save designed barcode in JPEG, TIFF, Bitmap, PNG, WMF, EMF, EXIF and GIF formats. Barcode program provides printing settings to print designed barcode images.